I highly recommend the new Martin Scorsese documentary about the late Beatle George Harrison. Called 'Living in a Material World', the HBO film is chock full of terrific interviews, rare photographs and outtakes and deep insight into the man known as the quiet Beatle. It's a MUST see for anyone, young or old, who believes in lifelong learning. 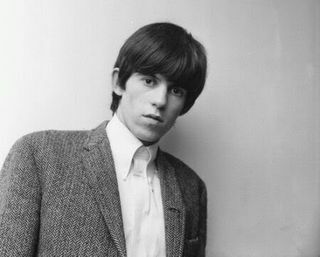 In fact, if there's one fundamental difference that set George apart from the other members of the Fab Four, it had to be his continual quest for spiritual enlightenment while battling his very real appetite for, shall we say, worldly pleasures? Scorsese’s movie shows the many, many sides of a gifted artist who was, and always will be, overshadowed by John Lennon and Sir Paul McCartney. But, while Lennon focused on anti-war activities and McCartney continued writing 'Silly Love Songs', Harrison plunged deeper and deeper into the very meaning of life. I must admit to having been somewhat alienated by Harrison during his Hare Krishna days but, having now viewed the new documentary, I understand it was just another stage in the man's unending quest to better understand himself and the world around him. The documentary is well worth seeing and, for me, has added new insights to some of my favorite Harrison songs, including: 'Wah, Wah,' 'All Things Must Pass' and, in my opinion, his best love song of all: 'Long, Long, Long'. As an aside, whenever I'm pressed by college and university students to name the key to career success, I always say, “lifelong learning”. In researching the song's origins, I found out that Harrison's quest for lifelong learning partly inspired him to write, 'While My Guitar Gently Weeps'. 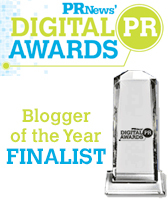 Mine certainly inspired me to entitle this particular blog, 'While my Blackberry gently weeps'. One Harrison lyric from Guitar is more relevant than ever: 'From every mistake, we must surely be learning'. We clearly weren't learning when Harrison first wrote the lyric in 1968 and, lord knows, we've learned even less in 2011. And that's why his guitar and my Blackberry still weep. Remember role models? They were the athletes, celebrities and other influencers who we looked up to as kids. Mine included Joe Namath, Paul McCartney and Muhammad Ali. And, while each had a dark side (Joe Willie had a fondness for the ladies, Sir Paul liked his hallucinogenic drugs and Ali perfected, if not invented, trash talk), none ever purposely endorsed products that were bad for kids. But, that was then and this is now. Now, we have role models such as Charlie Sheen, Barry Bonds and the Kardashians. They're all train wrecks. But, their personal lives aside, some of today's role models have become dangerous because they're endorsing products and services that are anything but good for our nation's kids. An article in Monday's New York Times profiles a new advertising campaign for Blast from Colt .45. 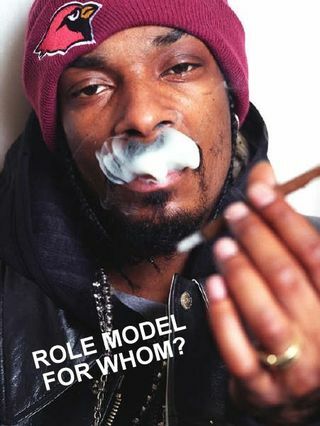 Snoop stars in the fully integrated campaign. In a YouTube video, for example, the Dogg poses in a white fur coat, surrounded by models in skimpy dress and holding a can of Blast. So what's my problem? Well, it turns out that Blast is the latest, coolest, cutest and hippest gateway beverage that introduces kids to the wonderful world of alcohol. One alcohol industry watchdog calls Blast, which comes in flavors such as grape and raspberry watermelon, an “alcopop." But, why should Snoop care? According to industry analysts, the flavored malt beverage category generated some $967 million last year. And, the Dogg's getting a long, green sip of that brew courtesy of his endorsements. Proving what a terrific role model he is, Snoop's been nice enough to mention Blast on his Facebook page (where he has eight million followers) and on Twitter (where 3.1 million fans follow him). He also mentions Blast in "Boom", a single in his new album, 'Doggumentary'. Daren Metropoulos, who owns Pabst, Colt's parent company, says Snoop's adoration of the toxic beverage is “…just him being a true partner and saying I'm not just an endorser.” That Snoop. What a stand-up guy! Would Namath, McCartney or Ali have knowingly promoted gateway drugs in their prime? It's hard to say. But, I doubt it. In the meantime, we're left with role models like Snoop Dogg who make sweet-tasting, brightly colored, highly potent alcoholic beverages seem cool to unsuspecting, underage kids. Snoop is one dog who's leading his pack astray and being paid handsomely to do so. And, here's the saddest part of the tale: we're doing nothing to stop Pabst, Colt .45 or Snoop. Until this past week, I thought I had nothing in common with Hip Hop musicians or their 'songs'. But then, felled by an absolutely hellacious ear and throat infection, I began a regimen of antibiotics and cough syrup (and, fell head-over-heels in love with a Hip Hop drug of choice: codeine). It turns out that Hip Hop artists have known about codeine's amazing high all along (Silly me. How could I have doubted these artists for one second?). Rappers, particularly those in the Southwest, absolutely adore cough syrup. They'll mix it with Sprite, Mountain Dew or Jolly Ranchers, and chug or snort the mixture until they're higher than the proverbial kite. 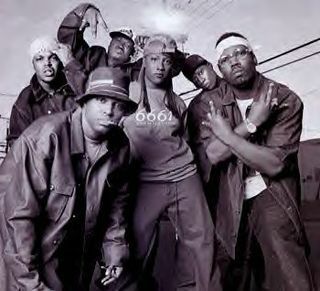 One Hip Hop group in particular, 36 Mafia, has written a song about the experience, called, 'Sippin' on Some Sizzurp'. Rappers have other names for sizzurp, including: lean, barre, purple jelly and Texas Tea. I'd add 'mule kick', to the list, because that's what I felt like after I'd swallowed a mere teaspoon (as directed, of course). Hip Hop Nation: all is forgiven. I get it. I get you, I get your music and I now get at least one of your drugs of choice. In fact, come to think of it, I've actually embraced two popular phrases used in the demi-monde that is Hip-Hop: 'Child, please' and 'Sippin' on some sizzurp.' One can teach an old dog new tricks. Tip o' the hat to Chris "RepMan, Jr." Cody for this idea. While Lennon’s activism during the Vietnam era has been well-documented, most notably his 1969 anthem “Give Peace a Chance” still being used today in anti-war rallies, McCartney has also stood behind causes he feels strongly about, such as Animal Rights and Meat-Free Mondays. Regarding his post-Beatles body of work, I would argue that “Live & Let Die,” “Here Today” (which he wrote for Lennon in 1982 and still performs in concert) and “Maybe I’m Amazed” are among McCartney’s finest compositions. Although the Library of Congress website might not have mentioned Lennon by name, President Barack Obama certainly made sure he did on the night McCartney was honored. John Lennon has always been my favorite Beatle. But no one is implying that Lennon was less of a songwriter than McCartney by bestowing this honor on Sir Paul, who turns 68 on June 18th. 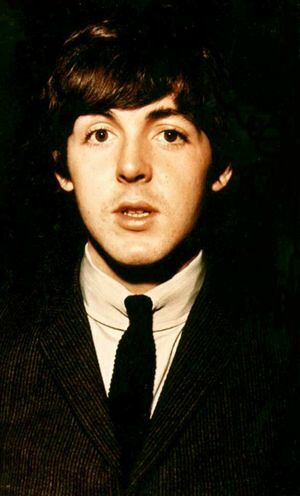 And while the work McCartney has produced and continues to produce in the 40 years since the Beatles dismantled may not be everyone’s cuppa English tea, even the staunchest Macca foe would have to admit that the man and his music have staying power. Let’s see if anyone remembers Lady Gaga 40 years from now. “In Performance at the White House” airs on PBS July 28 at 8 pm ET/PT. Did you catch the surviving members of The Who performing at the Super Bowl halftime show? It was grim. Don't get me wrong. I admire the energy and passion Messrs Daltry and Townsend demonstrated in Miami. But, the ravages of time sure showed. Daltry's voice was raspy and he didn't dare try his microphone acrobatics in front of millions of viewers (I could just see it coming down and plunking him on the noggin). Nor did we see Townsend do his patented slide along the stage on his knees or bash the bejesus out of his guitar when he finished his licks. These elder versions of The Who just didn't have it in them. But, how many 65-year-olds would? Which is why The Who should know when to say when. I liked what I saw. But, what I saw was a bit of a bus wreck. I'll go with the majority and stick with my original opinion: The Who need to know when to say when. And, I think the NFL needs to know when to say when, when it comes to trotting out washed up rockers. Rock and roll may never die, but the Super Bowl halftime viewership ratings surely will if the producers don't wise up and book younger performers with broader appeal. I’d like to open it up to you. Who would you like to see perform next year? Have you noticed how ever since Janet Jackson’s infamous Super Bowl halftime show wardrobe malfunction in 2004, the NFL powers that be have opted for burnt out rockers? 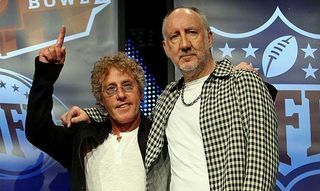 Fearful of another prime-time, real-time show-and-tell, the league has brought us Sir Paul McCartney, the Rolling Stones, Prince, Tom Petty, Bruce and, now, the surviving members of The Who. Don’t get me wrong. I love staying tuned to see what these dinosaurs still have left and, with the exception of Sir Paul’s gig (which I witnessed firsthand in frigid Jacksonville), have really enjoyed the shows. But, knowing market demographics as well as I do, I wonder what’s going on. Is the average NFL fan an aging Baby Boomer whose idea of cutting-edge music some combination of ‘Live and Let Die,’ ‘Start Me Up,’ ‘1999,’ ‘Born in the U.S.A. or ‘Magic Bus’? My gut tells me the average fan’s age has to be decidedly younger and, dare I suggest it, skewing towards urban and country tunes. Yet, we continue to see senior citizen rockers playing dramatically shortened, sanitized version of 40-year-old classics. And, that’s just fine by me. In fact, borrowing a phrase from The Who’s ‘My Generation’ classic, ‘….I hope I die before I get (real) old…’ and have to suffer through Snoop, Sizzla, Tim McGraw or Faith Hill performing at halftime. I think, instead, I’ll just f-f-f-fade away. Thanks to Tom Powers for his assistance in researching this topic. 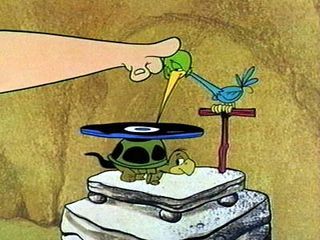 By Guest Blogger, Julie Farin ( http://twitter.com/JulieFarin) PR pro and Beatlemaniac – not necessarily in that order. Who is your favorite Beatle? 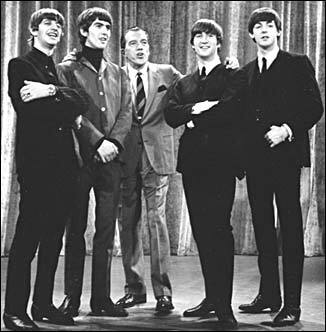 That seems like a question one might have been asked on February 10, 1964, the day after the four lads from Liverpool first performed on The Ed Sullivan Show to more than 70 million viewers across America, officially pulling the trigger on The British Invasion. But with months of multimedia marketing leading up to the 09/09/09 release of The Beatles Rock Band video game along with the release of digitally remastered “boxed sets” of the Fab 4’s historic music catalogue, it seems like just about everyone is climbing aboard the Beatlemania Reloaded bandwagon. It comes as no surprise that Zogby International recently decided to poll Americans and ask them which of the Mop Tops – John, Paul, George or Ringo – they like best. “Paul was always more popular than the rest of us,” John Lennon once told Tom Snyder in a 1975 interview. Well, Lennon would not be surprised to learn that Sir Paul McCartney continues his 45-year reign as the most popular Beatle with 27 percent naming him their favorite, Lennon taking a distant second at 16 percent, George Harrison coming in a dark horse at 10 percent, and Ringo Starr an even darker one at 9 percent. What surprises me most about this seemingly unscientific survey is the admission that nearly a quarter of those polled said they didn’t even like the Beatles, while three percent said they weren’t familiar enough with the band’s music to make an informed decision. 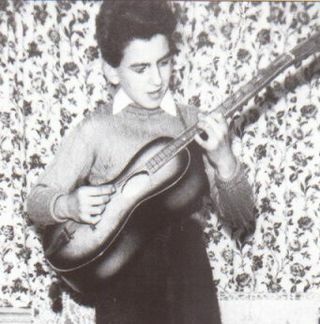 Don’t get me wrong, I still think Paul is fab and quite gear after all these years. In fact, my good friend Michael Starr (no relation to Ringo) has nicknamed me “Lady Macca” because I never miss a McCartney concert when he comes to my town (New York City). The results of this survey seem as irrelevant and invalid as asking a card-carrying Beatlemaniac to name his or her favorite Beatles song. That’s “Something” I can never “Imagine” doing.